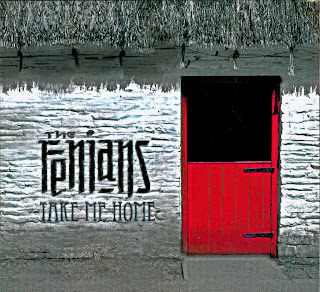 It’s been a while since the last studio album from The Fenians, it’s been about 10 years since “Every Day’s a Hooly” I think. Well the band haven’t got rusty in that time that’s for sure with a live album, a best off and plenty of live gigs between. If your new to the scene or haven’t heard the Fenians before they are a polished high-energy Celtic-rock (not punk) band from Orange County, California. Similarly to say NYC’s The Prodigals or The Elders but just with suntans, shades and a laid back CA sound – if they were any more laid back they would be lying down (I know old joke). Highlights from the album for me include the rockin’ “Banshee Under My Bed” and the acoustic turns Ska “Leave Her Johnny Leave Her” is a must hear. This entry was posted in CD Review and tagged The Fenians by Mustard Finnegan. Bookmark the permalink.